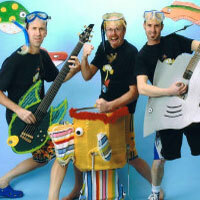 About The Artist: We are three dads who formed a rock band that performs adventure stories! Our music has won honors in international contests and it being played by families and on radio stations all over the world. Our goal is to create songs and concerts that are exciting and positive for children…while, at the same time…give parents a musical experience that they can enjoy as well. Albums: River of Life, Musicmaker, All I See Is Good!